Want to quickly see how the open-source software WordPress works? You'll find a free and updated demo installation of WordPress here. 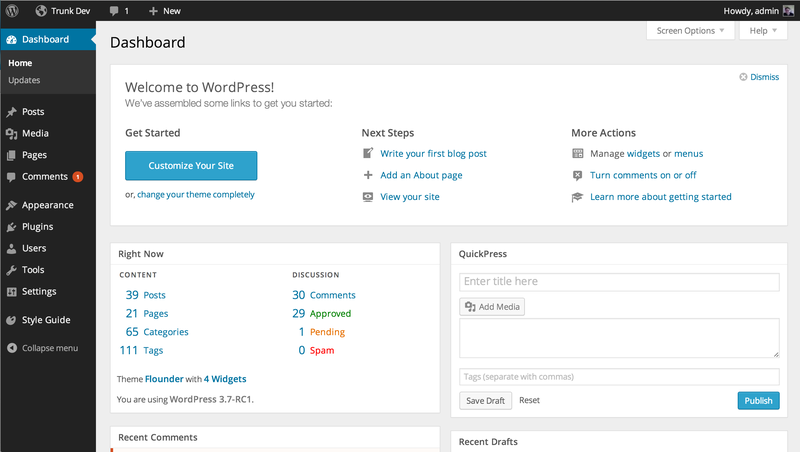 WordPress CMS is a free open source content management system based on PHP and MySQL developed by the WordPress Foundation and released under the GNU GPLv2+ license. A recent study developed by W3Techs showed that WordPress is being used by 29,2% of all websites across the Globe. It may not seem like a big number, but in reality compared to other content management systems, it has a market share of 59.9% and it’s likely to grow even further. It’s probably safe to say that as a CMS WordPress is the most popular website management and blogging system, but also the fastest growing publishing platform with a new website within the top 10 million using WordPress CMS every 74 seconds. WordPress CMS was first release on May 23rd, 2003 by its founders Matt Mullenweg and Mike Little, as a fork of b2/cafelog, which at that time was installed on approximately 2000 blogs. The new publishing platform grew slowly but steadily over the years, and in 2009 Open Source CMS MarketShare Report gave this content management system its much deserved recognition stating that WordPress CMS had the greatest brand strength of any open-source content management system. Some of the most powerful WordPress features include customizable and mobile friendly designs with the ability to choose from a large number of WordPress themes offered by the community, high security and a powerful media management tool. If you’re interested in a WordPress shop demo you should know that WooCommerce is a fully customizable, open source e-commerce plugin used by many online merchants regardless of their size. 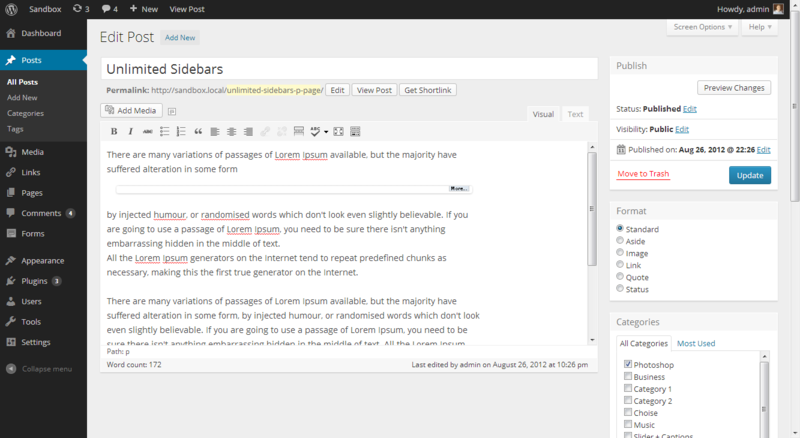 Setting up a WordPress Demo. There is no one reason why so many websites are using this CMS, but if you want to create your own WordPress website there are some things you need to know. In order to get a full WordPress review, the best thing you can do is try WordPress online, setup a theme with demo content and go through the WordPress features one by one in order to truly understand its power. Setting up a WordPress CMS demo is not that complicated and if you need any help you can find an online tutorial that explains all the steps you need to take for a demo installation. After you install it you need to learn how to make changes to your new website. Login to the backend using the credentials you’ve created when installing the CMS and start getting used to your new WordPress admin demo. 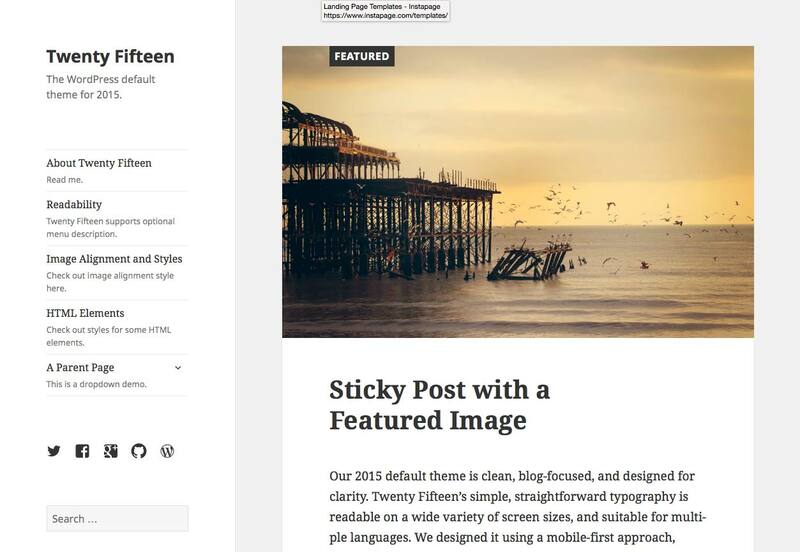 The first thing you can do is choose one of the WordPress themes available. Given that WordPress has the support of a strong community, you can browse through and preview a lot of WordPress themes, plugins or extensions offered by third party developers. 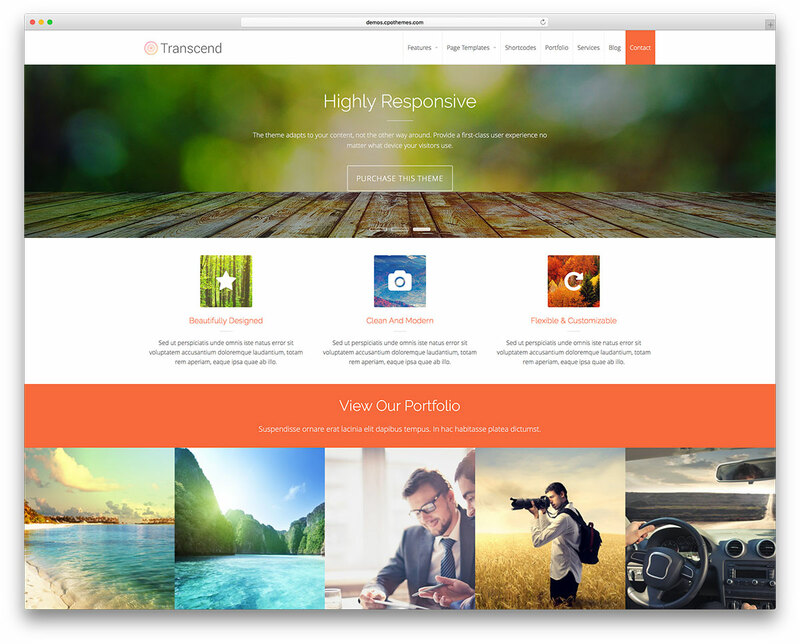 Some of them are not free of charge, but they enhance your website by providing a unique page template and new features. Sometimes watching a simple WordPress CMS demo is not enough to get the full picture of what this publishing platform can do. So if you’re looking for WordPress examples, keep in mind that some of the most powerful institutions in the world decided to use WordPress CMS. NASA, the United States Army and strong news and entertainment websites like Forbes, TechCrunch or TimeINC are just a few of the websites that decided to take advantage of all the WordPress features. Learning how to use this content management system is not hard, and you can always watch an WordPress admin panel demo tutorial that will enable you to customize your WordPress demo site. However, if that’s not something you’re interested in you can always find a developer willing to create your website as per your requirements. 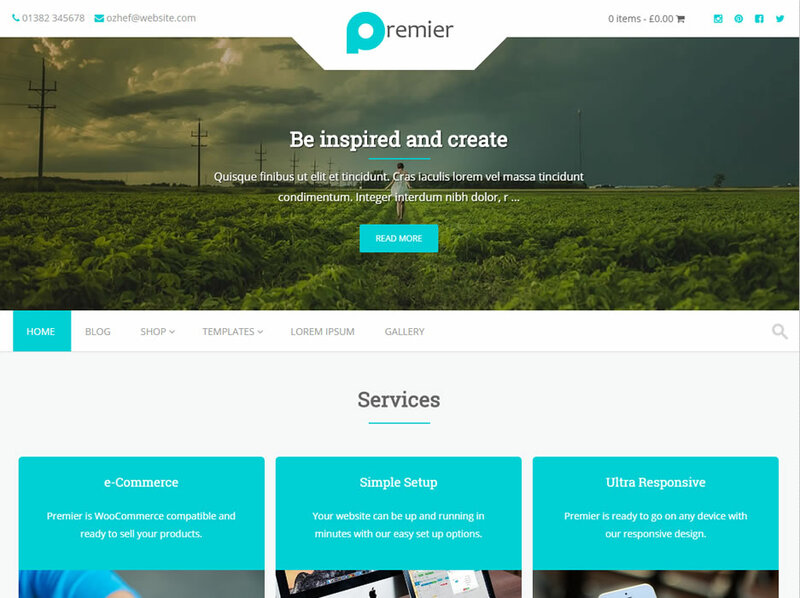 Some of them will even show you a WordPress preview of how your website will look like by setting up an online demo and providing you with a site login to both the frontend and backend. Throughout time WordPress has struggled with some security issues that have been uncovered on the software, but new releases have fixed all those problems. Right after version 1.0 was launched, all the following main releases of WordPress were codenamed after well-known jazz musicians. The latest version, 4.9, named Tipton was launched on November 16, 2017 and focused on an improved theme customizer experience as well as a new gallery widget and updated text and video widgets. In terms of development and support you can find all the information you need and documentation regarding the development of new plugins, extensions or WordPress themes on their official website WordPress.org. That’s also the place where you will find an active community willing to help out. 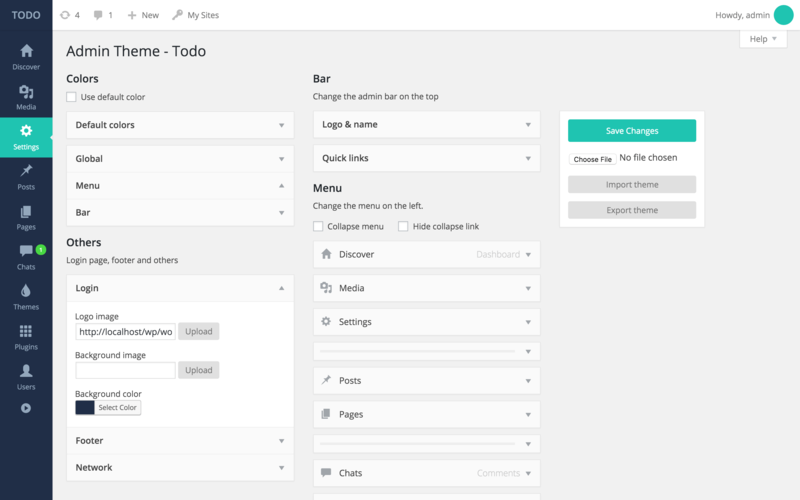 While compared to any other CMS WordPress has come a long way, Matt Mullenweg wants to expand its capabilities and believes that the future of WordPress is in social, mobile, and as an application platform. I am a graphic-designer and working since a while with WordPress. Some of my customers would like to learn more about WP, therefore I would like to setup an online demo-/trial page (backend), where they can try (and fail…) and experience, how easy standard-tasks in servicing their own website can be. After a specified time, their data should be reset, so others can do the same too. Do you have any helpful suggestions for me? I am dealing with a “burning” question and hope that you perhaps have a good idea or even know the right solution. I’m a graphic designer (and poorly talented coder) and have been building websites in the past mainly in Dreamweaver. Duee of the development in recent years, I have delivered WordPress websites to my clients and everyone is quite happy. Now I want to create a demo page for these customers and “newbies”, where they get to know the backend/admin area and work off (try and cry) for a limited time. Not a demo page to look at but something like a backend-simulator actually to work on it. This demo installation includes already basic plugins, a versatile theme to try out, and sample pages that include small instructions/editing tutorials, adding pages should be possible. Even in the media folder contains already files available for testing, because an upload is not enabled. After these temporary user-sessions, the lates changes should be reset to the prior state after they logout (rollback), instead of a complete DB reset to the original WP-Basic installation. I actually searched the web for hours, but I did not get any smarter. Now I’m looking for an affordable/practical solution (plugin or code snippets) and would like to emphasize once again, that there is no commercial intention, it’s just something that is unfortunately not offered for WP-Newbies. I thank you for your efforts and look forward to a good suggestion! someone from Poland apparently changed some settings and nothing works anymore, please fix it!